Dr. Claassen is a nationally and internationally recognized expert in the treatment of neurological intensive care. He is an expert in status epilepticus and brain hemorrhages. He is the co-chair for guidelines development for the Neurocritical Care Society. Dr. Claassen received a PhD in neurophysiology studying evoked potentials after traumatic brain injury. He has published more than 150 journal articles, book chapters, and reviews. He has published more than 150 journal articles, book chapters, and reviews. His research characterizes physiologic changes following acute brain injury, focusing on novel treatment approaches to potentially improve patient outcomes. 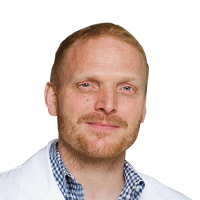 Dr. Claassen is a neurointensivist with substantial clinical research experience in acute neurological emergencies and prognostication/decision-making in severely brain-injured neurocritical care patients. He is currently an Associate Professor in the Department of Neurology at Columbia University College of Physicians and Surgeons and is the Director of the Neurological ICU. Dr. Claassen has solid clinical experience as a neurointensivist and as a clinical investigator via his research background in electrophysiology, invasive brain monitoring, recovery of consciousness, coherence analysis, and central role in several large, prospective outcomes projects on subarachnoid hemorrhage (SAH), cardiac arrest (CA), and intracerebral hemorrhage (ICH) patients.